The following excerpts were and taken from an inspiring book written by Shaykh Muhammad al-Ghazali (1917-1996) entitled: ‘The secret behind the Underdevelopment of Arabs and Muslims’, published by Darul-Qalam, date unknown. There are further details of his life which can be found on http://en.wikipedia.org/wiki/Mohammed_al-Ghazali. It was copied from pages 48 to 54. I chose these excerpts because among the many reasons for the underdevelopment of the Arabs and Islam identified in the book, what has been mentioned in these passages reflected my thoughts on the issue of ‘Ta’weel’ or the use of interpretation based solely upon analytical and dialectical approaches I have employed in many of the articles I have written so far. والعالم الإسلامى رحب٬ والمذهب الذى يضيق به قطر يتسع له آخر٬ والذى ينبو عنه عصر تتسع له عصورأخرى.. إن زعيم السلفية الأسبق فى مصر الشيخ حامد الفقى حلف باالله أن أبا حنيفة كافر٬ ولا يزال رجال ممن سمعوا اليمين الفاجرة أحياء٬ وقد نددت أنا فى كتاب لى بمحاضرة ألقيت فى حى الزيتون بالقاهرة تحت عنوان `أبو حامد الغزالى الكافر ` والمكان الذى قيلت فيه هو مقر السلفية!! والطلبة السلفيون هنا- فى جامعة الأمير عبد القادر بالجزائر- يقولون عن مالك بن أنس: إنه يفضل عمل أهل المدينة على حديث رسول االله٬ قلت لهم: هذا كذب٬ إن مالكا! يرى عمل أهل .المدينة أدل على سنة رسول االله من حديث واحد قد يحفظ أو ينسى٬ قد يخطئ أو يصيب! It makes sense to understand “Islamic Education” as an ever evolving phenomena not belonging exclusively to any period in time or moment of enlightenment. Much of what we now know Islamic Education to be began with the divine command ‘to read’. Now one can apply a range of epistemologies when deconstructing what that command may have meant or indeed means. We have the knowledge of the giver of the revelation, Allah (SWT) Himself and what was indeed intended by the command to His servant to read. There is also the receiver of the Revelation itself, Prophet Muhammad (pbuh), and his understanding both at the point of first contact and at a later stage as to what that command may have meant; and at the same time not ignoring his pre-revelation state. That is, if we do value the notion that Allah is involved in the shaping of our lives before scriptural guidance. Then there are we, the timeless reader and the perspectives we acquire through received knowledge and personal understanding over time as to the meaning, purpose and significance of that command – to read. Now all of these perceptions combined: the inaction of necessarily knowing or act acquiring knowledge and or evolving understanding all encompasses the meaning of education itself. Won’t you agree? I often wondered what Prophet Muhammad did think, knowing that he was illiterate at the point of being urged on by the Angel Gabriel, ‘to read.’ Did he think that he was being asked the impossible – to read – or did he assume that the reading of a text was involved? Did Gabriel appear with scrolls in hand that led him to believe that he had to read them? Or was he simply being asked to recite that which Gabriel was about to read to him? But why according to hadith reports was so much strain and tension placed upon the Prophet ‘to read’ when it could have been much easier for Gabriel to state what he wanted him to recite and then command him to follow in recitation? This begs another question: what was the point of the command itself? What I did conclude from the many questions which were raised in attempting to understand the meaning and essence of education from within the bounds of the first utterances of revelation itself was much simpler; that the Prophet was being commanded to read the narrative of his life, past, the present and future from within a new discourse and way of viewing the world, one which was based upon Tawheed. This, in the broadest of senses underpins what was meant to be ‘Islamic’ about Education and what set into motion the evolution of Islamic Education as distinct from other forms of Education, ways of knowing and imagining the world and beyond. The correct understanding of this command enshrines the purpose and legacy of Islamic Education, which remains constant throughout the annuls of time, the linking of humans with their Creator. Islamic Education therefore espouses a unique approach towards reading the narrative of life on earth. 1- Education of Muslims, which they argued, accurately meant “Muslim Education.” (page 8) An activity which takes place in local mosques or community centres after school or at weekends to compensate for the lack of Islamic instruction in schools. 2- Education for Muslims, which though perceived by Muslims as “Islamic schools’ are better coined “Muslim schools.” (p.8) The education of Muslims within a Western education secular framework. 3- Education about Islam, which is usually an outsiders view of what others perceive Islam to be (ps.9-12), as in an orientalist view of Islam, but not exclusively so, for this too can entail a romanticised view of Islam by Muslims construed for Western or non-Muslim consumption. 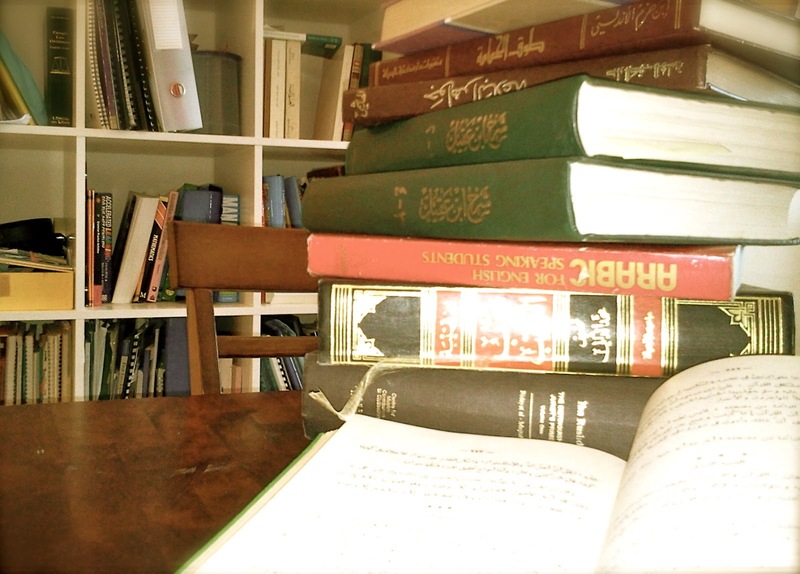 So what constitutes Islamic knowledge or Islamic Education? As Muslims we are taught that all knowledge by its very nature emanates from Allah (God) and therefore is Islamic. The coinage ‘Islamic’ does not mean knowledge bounded to the views of the followers of Islam – as viewed by those who demarcate between the search for spiritual truths and scientific enquiry. Islamic Education is not a subject to be taught alongside other subjects in the school curriculum, instead it is a pedagogy of instruction, learning and enquiry about the world founded on the basis of ‘revealed’ truths and should be embedded into the whole school curriculum. The first principle of these truths is that all truth itself emanates from ‘Allah,’ the Omniscient, to whom all knowledge belongs. Therefore, the study of Mathematics is Islamic and so are the range of Arts (Funoon), Humanities (Aadaab) and Sciences (Uloom al-‘aqliyyah) when founded upon an Islamic pedagogy that educates the whole individual. The Holy Prophet (saw) once said: ‘The best of you is he or she who learns (masters) the Holy Quran and teaches it to others.” It is then not possible for one who has mastered a field of learning, scientist or humanist to articulate through their learning the truths of the universe as revealed by Allah? Did not the Prophet (saw) achieve this in his gift of moral conduct, when his wife, Aisha, was asked as about his manner behind closed doors and she replied: ‘His conduct was that of the Holy Quran?’ You too, can be an Islamic Educator. You too, can be a master of the Quran.